Andrew Martin reported in yesterday’s New York Times that, “Ever thought of chucking it all and moving to the country? According to the Agriculture Department, an increasing number of Americans are doing just that, by embracing a ‘Green Acres’ lifestyle. 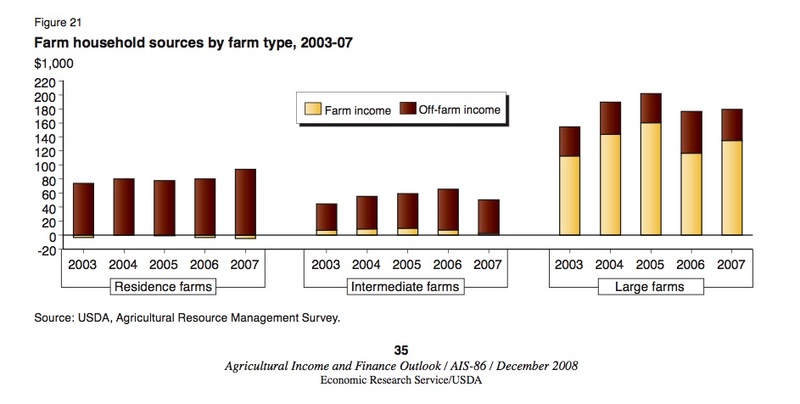 But few of them are making a living at it: more often than not, their work in the fields is subsidized by an off-the-farm job.” (See this related graph for all farms, and this related graph by farm typology).